Teen suicide rates are startling. Since the onset of social media, a new form of bullying has taken place, and parents and educators have only caught on to it in the past few years. Is there anything your teen can do to help a suicidal friend? Might their words or actions result in the prevention of a friend’s suicide? The first means of your teen helping a suicidal friend is to understand the signs of an impending suicide. These signs include suicide threats, suicide notes, self-harm, previous suicide attempts, depression, “masked” depression, talk of final arrangements, lack of concentration, dramatic personality changes, and talk of any means—like access to pills or guns—that might indicate thoughts of suicide. While some of these signs are clear, others—like masked depression, aren’t. “Masked” depression is referred as such because the teen doesn’t appear depressed—at least not by typical standards. Instead, he or she might become aggressive, play with guns, drink, take drugs, or exhibit other signs of dangerous behavior. Dramatic personality changes might include sleeping all day, disconnecting from friends, skipping school, neglecting personal hygiene, or sudden elation following a long period of depression. Suicide threats might not be obvious, and could include artwork depicting death or joking about dying. Making sure your teens know these signs of suicide is the first step in helping them help their suicidal friends. If your teen even remotely suspects a friend is considering suicide, urge them to speak to a trusted adult immediately. In addition to knowing the signs of suicide and speaking with a trusted adult, your teen can help their suicidal friends by having conversations with them. If they fear a friend may be suicidal, they will learn more about their state of mind by talking with them. They must be aware, however, that suicidal friends might ask them to make a deal. They must never promise that they won’t tell someone about the friend’s thoughts or plans of suicide. Compassion starts at home. 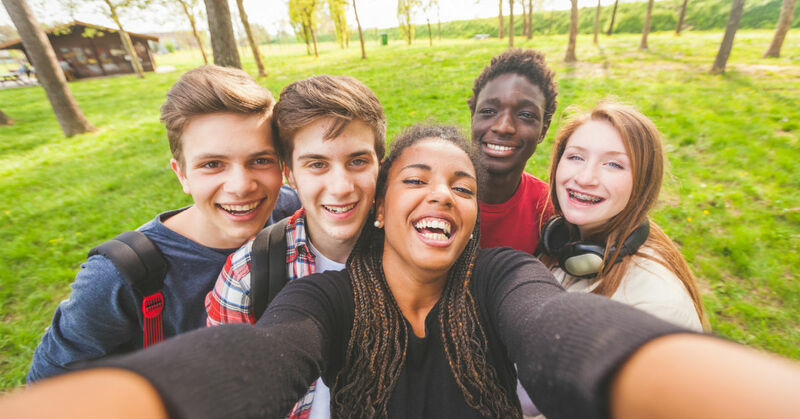 If your teen is used to respecting and recognizing others’ feelings, he or she will be more likely to recognize some of the signs of suicide in their friends. Keep lines of communication open so your teen will be comfortable confiding in you when confronting these situations.